The HRD ministry has declared that children studying in government schools can receive mid day meals only when they provide Aadhaar card numbers. The government has set a deadline of June 30 for enrolling children as well as cooks under the Aadhaar scheme, failing which they would be denied free meals in schools. The right to food campaign has opposed the government’s move. “This is nothing but an attempt to coerce people to enrol their children under Aadhaar,” it says. 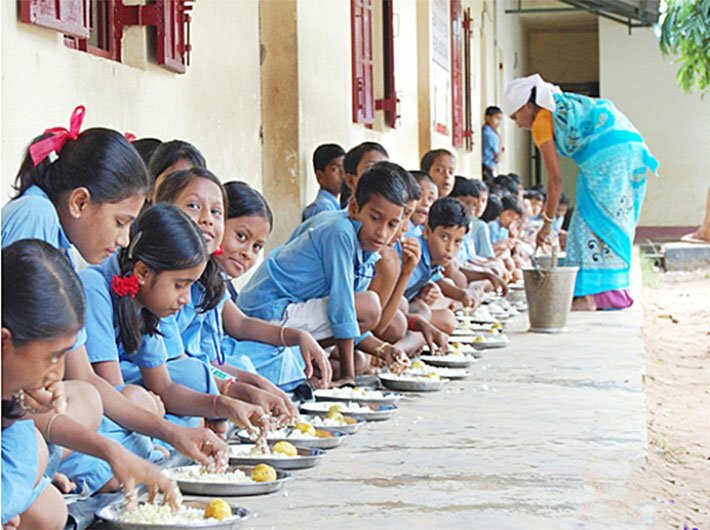 School meals are an important entitlement of Indian children, legally enforceable under Supreme Court orders as well as under the National Food Security Act. Numerous studies show that India's mid day meal scheme has made an important contribution to higher school attendance, better child nutrition and more effective learning. Mid day meals also help to break the barriers of class and caste by imparting to children of diverse backgrounds a habit of sharing meals. No conditionalities can be imposed on this critical entitlement of Indian children. Making Aadhaar compulsory for the midday meal would serve no purpose, and is bound to disrupt instead of helping this important programme. Further, this move is a violation of Supreme Court orders. In a series of orders, the Supreme Court has made it clear that Aadhaar cannot be made compulsory for any services to which people are otherwise entitled. It has also made it clear that the Aadhaar Act does not supersede these orders, until such time as the court settles the issue of compatibility of Aadhaar with the right to privacy. NREGA workers being denied their wages due to Aadhaar seeding errors and PDS cardholders being deprived of their food rations because of technical glitches with Aadhaar-based biometric authentication. The government has paid no attention to the mounting evidence of these disruptive effects. Reason: the real purpose of this drive is to put pressure on people to enrol with Aadhaar. The need of the hour is to stop this rampage, not to extend it further, least of all to programmes like midday meals that are critical for the wellbeing of Indian children. The right to food campaign demands immediate withdrawal of the illegal notification seeking to make Aadhaar compulsory for midday meals. It also calls on state governments to desist from implementing this illegal notification.